Fits: Jeep Wrangler (JK) (2007-2015); 4" LED Block Lamp Kit; Matte Black Anodized Finish. 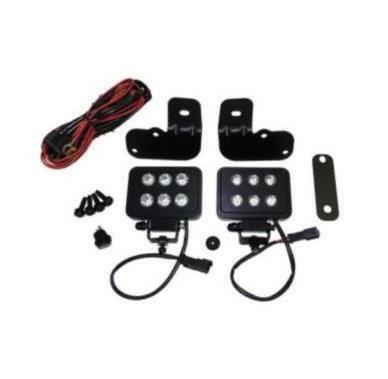 Includes 2 Lamps, Windshield Light Mount Brackets with Hardware, a Wiring Harness Designed For Use With Windshield-Mounted Lights, a Relay and a Switch. 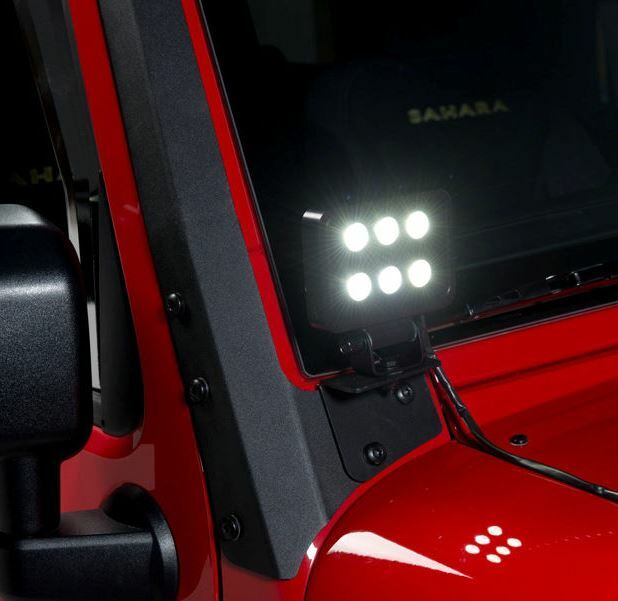 Each Lamp Includes 6 Nichia LED's That Produce 2400 Lumens; Lamps manufactured and Assembled in the USA. Lamp Measures 3.5" x 4.5" x .75". Each Lamp Rated at 18 Watts / 1.5 Amps Draw. 50,000 Hour LED Bulb Life; Lamps are IP86 Rated for Dust and Moisture Protection.